Medica’s OEM ISE Module, using ion-selective electrode technology, is considered the gold standard for integrated electrolyte systems. With over 5,000 modules integrated with more than 30 clinical chemistry analyzer platforms from over 15 manufacturers worldwide, Medica’s expertise is unmatched. Medica’s OEM ISE Module is the ideal solution for providing electrolyte measurement capabilities to any clinical chemistry analyzer. The module measures Li+, Na+, K+, and Cl–. Its compact design allows for small sample size and fast operation. 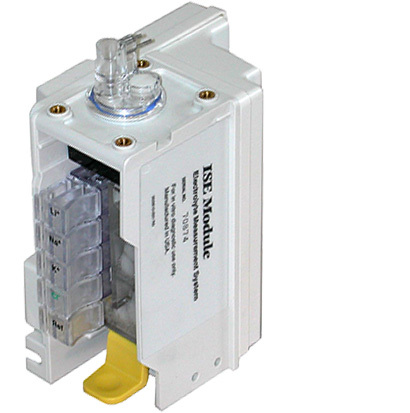 The ISE Module’s snap-in, snap-out electrodes connect directly to electronic circuitry within the module. See how your company’s clinical chemistry analyzer can benefit from Medica’s OEM ISE Module technology.